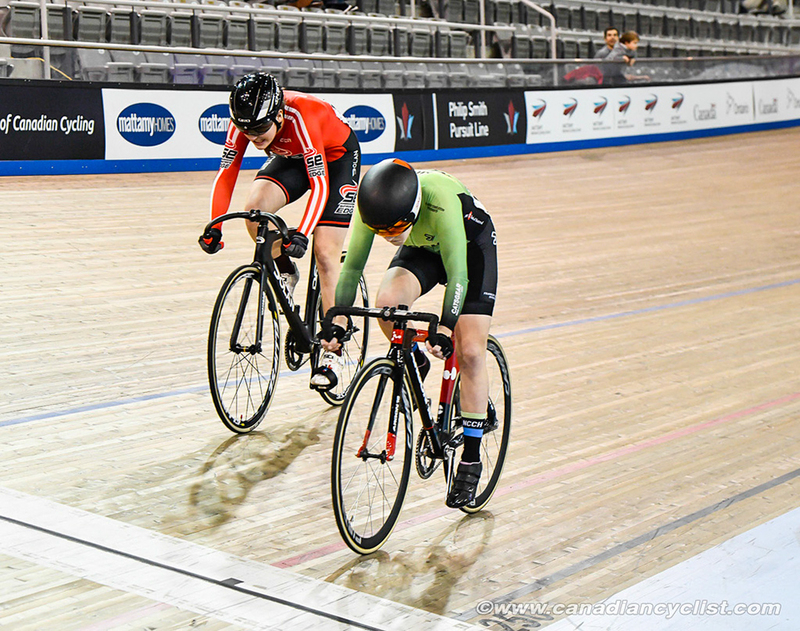 Over 80 athletes in the Under-17 and Under-19 age categories took part in the Eastern Challenge track competition on February 9-10, at the Mattamy National Cycling Centre in Milton, Ontario. 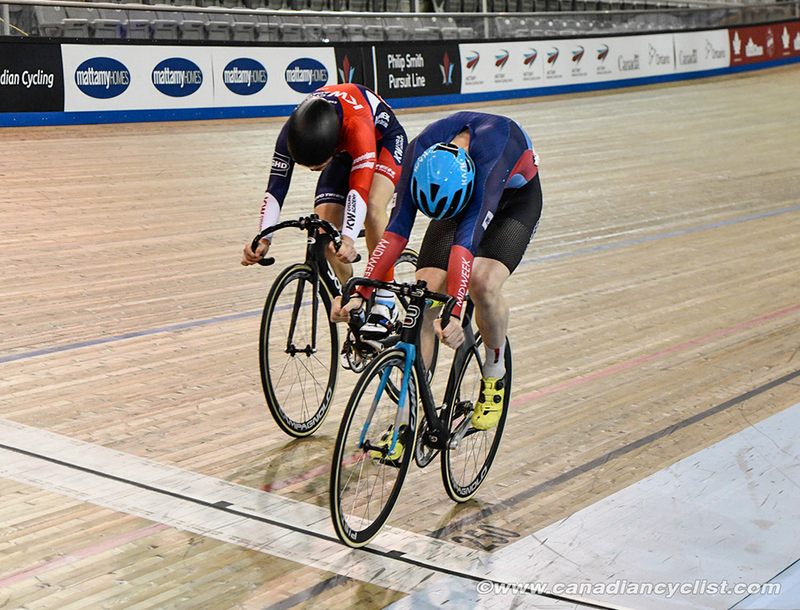 Riders came from across Canada, plus the United States, competing in the Sprint and Keirin on Saturday, and Omnium events (Scratch, Elimination, Tempo and Points races) on Sunday. Participation was up 60% from the last edition in 2017. 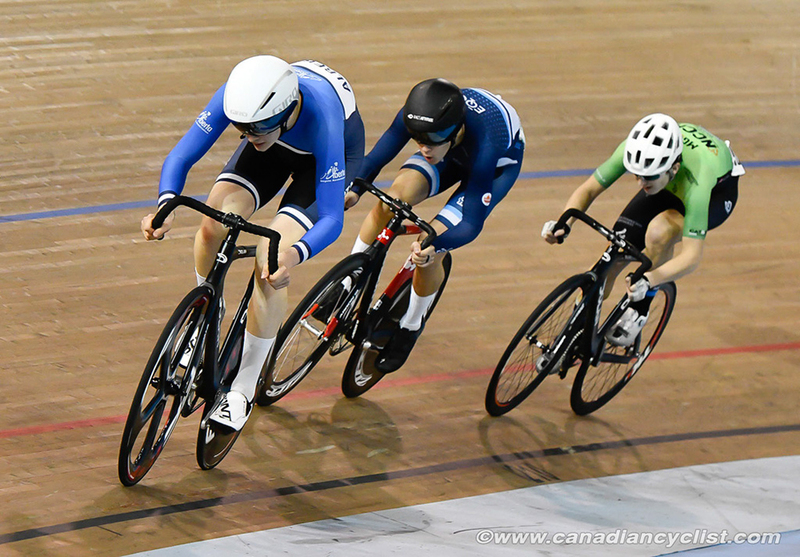 Ontario's Dylan Bibic (Midweek Cycling) was unbeatable in the Under-17 men's category, winning both sprint events on Saturday, and then sweeping all four Omnium events on Sunday. Bibic won the overall Omnium title with an impressive 164 points, followed by Liam Carney (Madonna Wheelers CC) at 108 points, and American rider Grant Carter (T-Town Elite) at 106 points. In the Under-17 women, Nicole Bradbury (NCCH Elite p/b MGCC) won the Sprint and the Category 2 women's Omnium (combined with senior women). Bradbury won all four events in the Omnium, to take the overall title with 140 points. In the Junior women, Madison Dempster (Midweek Cycling) won the Sprint competition ahead of Adele Desgagnes (Equipe du Quebec). Desgagnes followed up her Sprint silver by sweeping the four events in the women's Category 1 Omnium, racing against Senior women. Desgagnes won the overall title with 148 points. The Junior men's competition was dominated by two riders. Andrew Scott (Midweek Cycling) won both the Sprint and Keirin competitions, while Jackson Kinniburgh (Bicisport) won the Omnium. Kinniburgh won three out of four Omnium events (Scratch, Elimination and Points) and took silver in the other (Tempo). Kinniburgh won the overall title with 145 points, followed by Mathias Guillemette (Equipe du Quebec) at 129 and Rich Elliott (Independent) at 109 points.